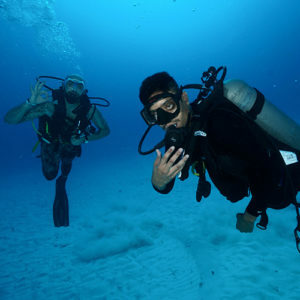 Diving on one of the Worlds Top 10 Reefs on the Island of Cozumel is one of the best experiences imaginable for a diver. You will be do doing breath taking diving on one of the worlds largest barrier reef systems, the Meso-American Barrier Reef! 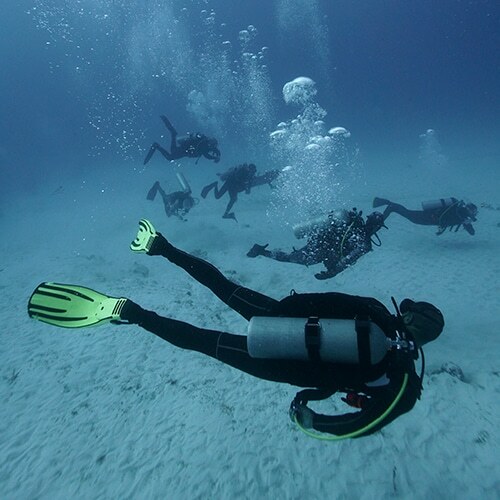 Scuba PlayaDive Shop offers daily 2 tank dive to dive these incredible reefs leaving from Playa Del Carmen with the 10:00am ferry for a smooth 45 minutes ride. Once we step off the ferry in Cozumel our staff and boat are already waiting for you ready to take you on two amazing dives. 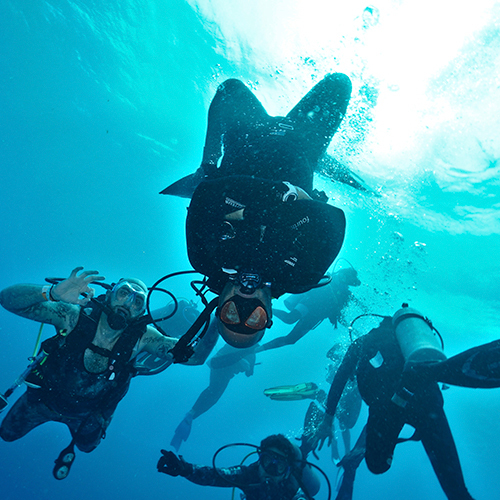 For this dive we ask that you have dived in the last 6 months and that you are used to deep dives and strong current. 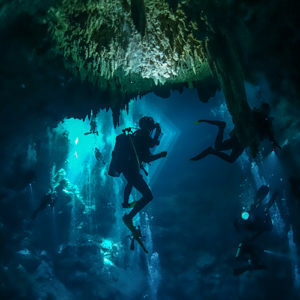 If you don’t feel comfortable with this conditions, we suggest you hire a private guide for 75 extra dollars or that you do a dive in Playa prior on going to Cozumel. 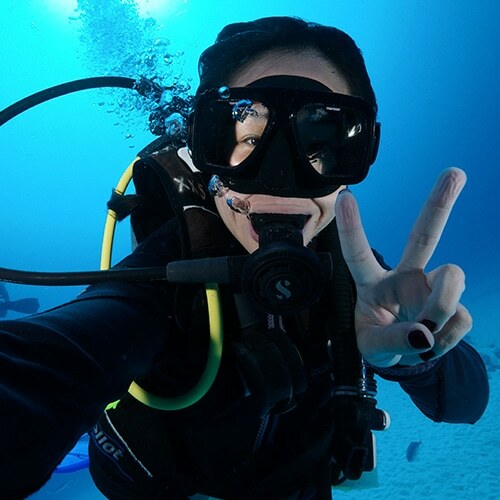 The comfortable dive boat with vhf radio, O2 and first aid kit guarantee the best option in Cozumel with bottles of water and soft drinks available the whole time while fresh fruit is served between the two dives. Our first dive is usually on one of the famous walls of the island, names that are famous all over the world like Santa Rosa Wall, Palancar Reef, Cedral Pass Wall or San Francisco Wall. 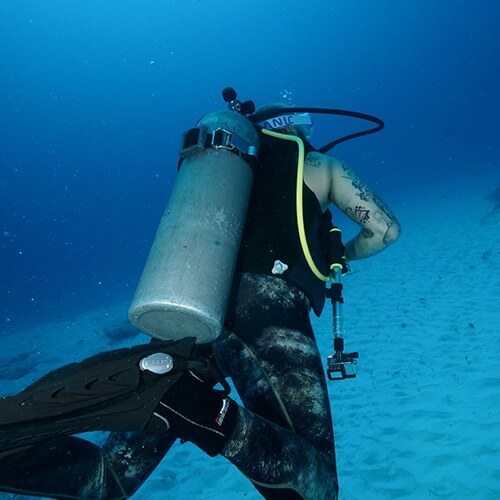 The first dives in Cozumel have a multilevel profile with a maximum depth of 80 feet / 24 mt for a maximum bottom time of 45 minutes or 700psi / 50 bar. The coral formations start at a depth that may vary between 15 feet / 5 meters to 25 feet / 8 meters and drop all the way to 450 feet / 140 meters. Drifting along these walls (Cozumel diving is famous to be drift diving ) from south to north in an unbelievable experience, you can enjoy the coral on your right hand side most of the time of the dive and turning left or below you FEEL THE BLUE looking for big creatures. The second dive of the day instead is always a shallower reef with a depth between 40 feet / 12 meters to 60 feet / 18 meters. 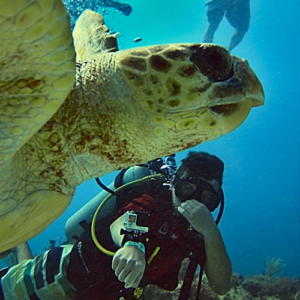 Paradise Reef, Chankaanab Reef, Tormentos Reef or Yucab Reef are also very famous for the incredible marine life. The second dives has a bottom time of 45 minutes as well. After the two dives the boat takes the divers back to our dive shop where a full lunch including a soup, a main course with fish, chicken, potato, salad and a fruit water is offered and included in your price. Its important that you arrive at the ferry station at 9:30 am to get the 10 am ferry to Cozumel.